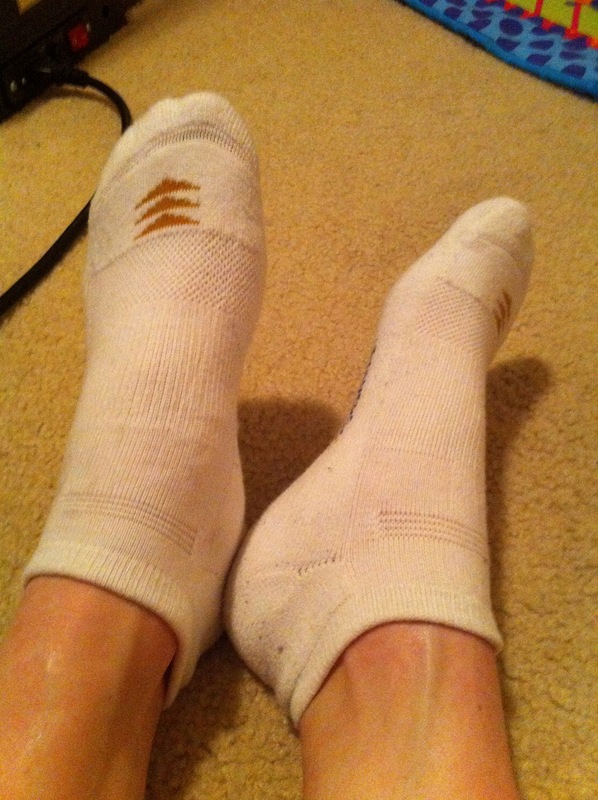 I was lucky enough to get a free pair of PowerSox socks a while back through an online promotion. When they came in the mail, I was immediately drawn to how soft and cushiony they were. My feet are prone to blisters, and so far I have had nothing but satisfied toes with these socks. Travis even stole these socks from my drawer to try them out...he was caught red-handed, and now I hide these so he can't wear them again! Ha! What? He totally is going to stretch them out! These come in a three-pack for only $9.99. Pretty sweet deal, if you ask me. Um, they don't come in hot pink?